Allen & Heath’s renowned Xone DJ mixers were used throughout the Ibiza season at various venues across the island, requested by top DJs including Pete Tong, John Digweed, Chris Liebing, Juanjo Martin and Richie Hawtin. 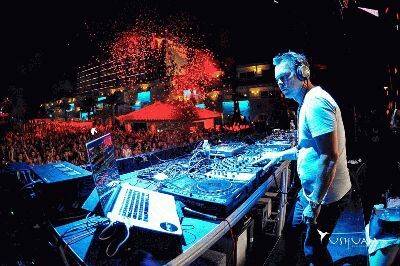 The flagship Xone:DB4 digital FX club mixer, along with the pro touring XD2-53 headphones was used by Pete Tong at his new weekly Le Grand Bazaar party at the Ushuaïa Ibiza Beach Hotel. Pete also used the same set up for his Essential Mix Live at Privilege, broadcast on Radio 1. Leading Spanish DJ and Producer, Juanjo Martin, also resumed his SuperMartxé residency at Privilege, where he used XD2-53 headphones and a Xone:DB4. The M-NUS crew took up residency at Space for ENTER, featuring Xone:92 mixers and Xone:K2 controllers in the booth, which included regular appearances from Richie Hawtin, Magda, Nina Kraviz, and Gaiser. Similarly, Cocoon’s residency at Amnesia, also featured Chris Liebing with his Xone:92 and Xone:K2 set up, alongside Adam Beyer, Sven Väth and Ricardo Villalobos using Xone:92s. Meanwhile, John Digweed used a Xone:DB4 for his Insane residency at Pacha. Finally, Ibiza Global Radio broadcasts 24 hours a day from the island and has a Xone:PB patchbay and XB-10 mini broadcast mixer installed in the studio .